I had the great privilege to meet Dr Jane Goodall at a private dinner in Sydney. 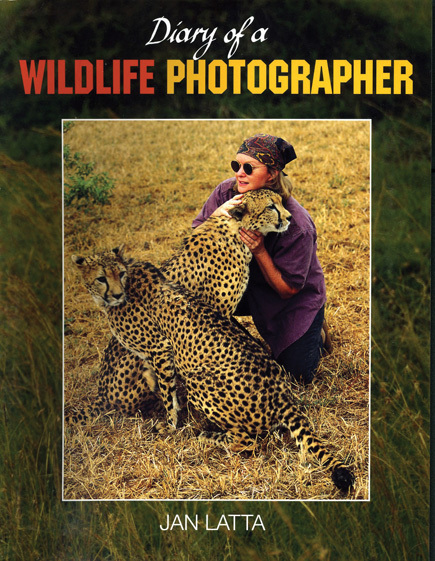 I was so inspired by her, I decided to publish a book about her orphan chimps at the Ngamba Chimp Sanctuary in Uganda. It was dangerous to travel to Uganda, but the chimps live on an island, so I thought I would be safe. 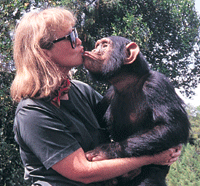 Each morning I walked into the forest with the chimps and their keepers. One chimp climbed onto my back because he wanted a ride, but he was too heavy, so the keeper had to take him off, with some noisy complaining from the chimp. I sat on a log and watched the chimps. They foraged for leaves, played in the branches and got into as much mischief as possible. One tried to steal my hidden camera, another pulled off my glasses, but I’m grateful to the keeper who retrieved them for me. It was a great experience. My heart melted when a little chimp looked at his reflection in my camera lens. 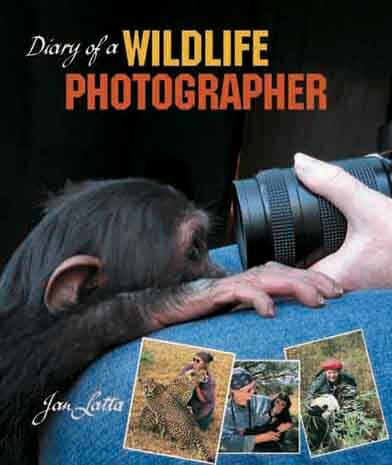 He was so adorable he’s on the front cover of the first edition of the Diary of a Wildlife Photographer, a book commissioned by the ABC. The second edition was published in 2013. 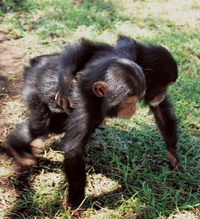 I have a special chimp in my life called Mzee. I met him about 25 years ago and he taught me so much about primates. 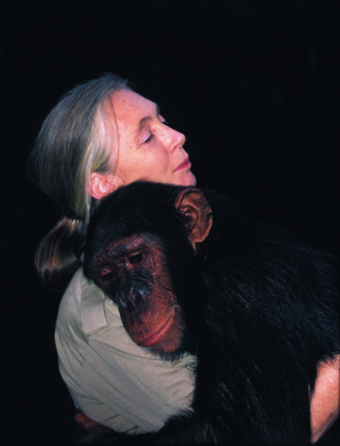 This was a great advantage when I was creating Chimaka the Chimpanzee book dedicated to Dr Jane Goodall.